Tap Shoes (239/365 year 3) – Annoyingly Boring? 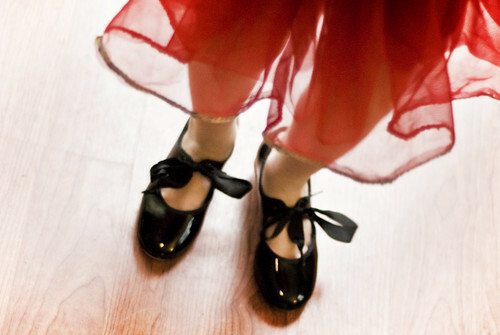 Three & four year old tap and ballet lessons start on Monday. We went out today and got tap shoes and ballet slippers. Soon as we got home she went upstairs and found one of her big sister’s old recital outfits. She spent the rest of the day dancing. Needless to say she’s looking forward to Monday.